Tom Lawrence insists Wales will suffer no lasting damage from a “kick in the teeth” against Spain. Wales resume their UEFA Nations League campaign against the Republic of Ireland on Tuesday, a crucial game as it is set to have a say on the seedings for the 2020 European Championship draw in December. But Wales will prepare for Dublin on the back of a sobering 4-1 friendly home defeat to Spain and the likelihood that their talisman Gareth Bale will again be missing. The Real Madrid forward sat out the Spain game with muscle fatigue and Wales manager Ryan Giggs says Bale is “struggling” to play at the Aviva Stadium on Tuesday. “You know what to expect of Spain, they’re always going to be a tough side to beat the way they play,” Derby forward Lawrence said of Wales’ heaviest defeat for six years. “The start killed everyone’s confidence, conceding that many goals in such a short space of time. “It was a kick in the teeth, but we’ll learn from it and get ready for Tuesday. 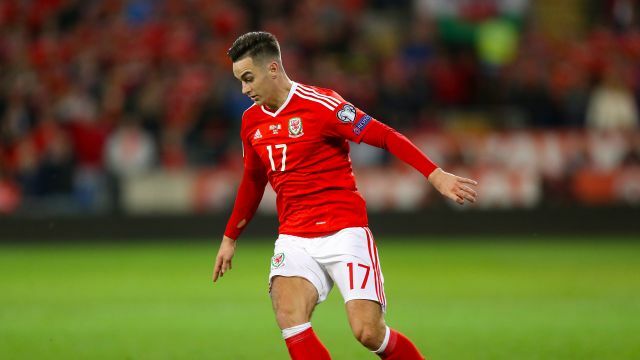 Lawrence was among the scorers last month as Wales opened their Nations League campaign with a thumping 4-1 win over Republic of Ireland. The display was hailed as one of the Wales performances for many years, but Lawrence accepts Martin O’Neill’s side will be determined to avenge that defeat. “We know Ireland are going to be all guns blazing after what happened in Cardiff,” Lawrence said. “They’ll try and get their own back on us. “But we know what we did wrong against Spain and look to put it right against Ireland. “We made mistakes for the goals and as a team what we need to put that right. The Spain defeat marked Wales’ return to the Principality Stadium after a seven-and-a-half year absence. More than 50,000 turned up at the 74,500-capacity home of Welsh rugby and striker Sam Vokes admitted Wales’ long-term aim was to play all their games at the Principality Stadium. Wales’ home games are usually played at the 33,000-capacity Cardiff City Stadium. “It is a great ground, it is where we want to be,” Vokes told BBC Wales. “If you get the ground full there is nothing like it. “That’s where we want to be, that’s the end goal – a full Principality is a great event for us.